As an msp IT professional, your main concern is client safety and security. After all, these companies are entrusting a great deal to you. The financial futures and perhaps the well-being and livelihoods of hundreds or thousands of people are at stake. It is vital to have the best rmm possible for this kind of business. However, as you check out programs you could easily get lost in all the technical aspects of rmm, mdm, patch management and a host of security concerns. So, how does one find the best rmm software for all these things? Thankfully, we at ITarianhave made the process quite simple, so let's get started. Is RMM What You Really Want? 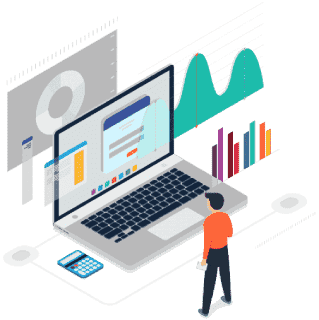 RMM means remote monitoring and management and this kind of application is designed for IT managed service providers who are interested in taking care of their clients' needs. In other words, if your msp company provides supply chain management services or transportation planning, a top rated rmm IT program like ITarian may not be in your best interests. We are here to make the job of the IT msp easier, more effective and to provide the right features for your needs. This is important to us. Naturally, as an IT msp you are interested in providing end to end security to your clients. Let's look at the basics you'll probably need. There will be times when a client is having major problems and you can't simply tell them what to do. Your tech personnel need to have the ability to go into the system and correct the problem. In some cases, specific actions must be taken as soon as possible to limit damage control, so this feature is something you cannot afford to be without and must be included in the top programs today. In other words, it's not an option and if a software provider wants to charge you extra for this feature, you may want to look elsewhere. There's one thing for certain (besides death and taxes). More people will continue to access the Internet for pleasure and business, via a wide range of mobile devices, and it will be the largest online market for many years to come. It is absolutely essential for the IT msp professional to have mobile device management and this is why it is in your ITarian platform. Anti theft - with ITarian, you can track missing or stolen devices, and they can be locked remotely. You also receive a feature which can use the camera to take a picture of a user, after a predetermined amount of unsuccessful password entry attempts. Enrollment scan - as soon as your client is signed up, their devices will automatically be scanned to protect both the client and msp. This is an essential feature which should be part of a good software package. Separate data - when you search for the programs, look for one which isolates managed applications and data from unmanaged. This way, all unmanaged data is proactively "quarantined". Is This All the Best RMM Software Should Provide? This blog post has only touched the tip of the iceberg as far as important things you should be aware of. Oh, we almost forgot, you pay nothing for all this protection, because it is free. In addition, you can select from our add-on modules to enhance your capabilities and better serve your clients. To see all we can do for you, check us out on the Web today at https://www.itarian.com/. Better yet, call us at (973) 859 4000 ext 3025 for a live demonstration.